AFL Queensland today announced the completion of a review into the South East Queensland Senior Women’s Football Structure. The objective of the review was to ensure that AFL Queensland continues to have a competition structure that provides the opportunity for all women to participate in AFL; whilst maintaining a quality State League competition that complements both the AFL Queensland female talent pathway and AFLW. In a move aimed at aligning AFL Queensland’s Women’s Competitions with national AFLW branding, all women’s competitions in South East Queensland will be renamed. QWAFL will now be known as QAFLW and QWFA as QFAW. 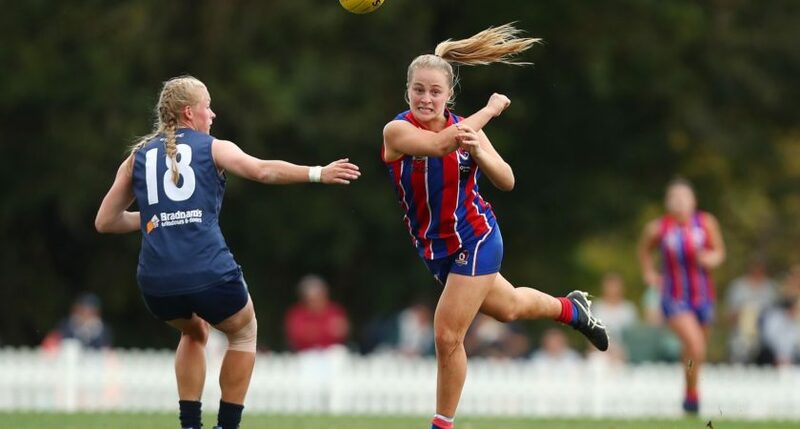 Only open to QAFLW Clubs, the Development League will be the opportunity for QAFLW Clubs to have more players on their list, assisting in their development. Whilst the name of the competition is yet to be finalised, all QAFLW Clubs will have two teams. Both teams will play at the same venue consecutively, reducing the volunteer burden for Clubs whilst also allowing QAFLW Coaches the opportunity to watch all listed players all weekend. A South East Queensland-wide competition that does not include QAFLW Clubs. This is an intermediate level competition positioned between our high performance and entry level competitions. Clubs in this competition can also have a team in QFAW Division 2. Where a Club has a team in Division 1 and Division 2 there will be rules regarding the movement of players between both teams (TBA). QAFLW clubs can sign up to a maximum of 55 players and those players can play across both grades throughout the regular season without restriction. Five working days prior to the club’s first regular season game clubs will be required to submit their initial list of 55 players. The club can, without limitation, replace players on the list between the first list lodgement date and the final list lodgement date of June 30, however no player can participate unless they have been added to the club’s list via notification to the Competition Manager. Once a player has been removed from a list they cannot be added back on. There will no changes permitted to lists beyond June 30. Any QAFLW listed players not selected in either the QAFLW or Development League team can play for a QFAW D1 team on a match day permit. They cannot play QFAW D2. If a player has played three (3) or more home and away games in the QAFLW team, she must play at least five (5) home and away games in the QAFLW Development League to be eligible to play finals in that competition. Any licenced QAFLW Club will not be granted a licence to compete in any other senior women’s competition in Queensland other than the QAFLW Development League. There will be 16 players on the field and four (4) players on the interchange in all QAFLW and QAFLW Development League matches, including Finals. QAFLW Clubs cannot sign any more than five (5) 2019 AFLW Listed Players to their list of 55 players. Where an existing QAFLW Club had more than five (5) 2018 AFLW Listed Players on their 2018 primary list, the Club can retain all those individual players in season 2019, even if that means the Club has more than five (5) AFLW Listed Players, however the club cannot add any new AFLW Listed Players until they are under five (5). Any existing QAFLW Club that had more than five (5) 2018 AFLW Listed Players on their 2018 primary list and has an existing player (on the Club’s primary list in 2018) who is drafted in 2019 to an AFLW Club as a Listed Player, may retain that player even if that means the Club has more than five (5) AFLW Listed Players, however the Club cannot add any new AFLW Listed Players until they are under 5. Any Club that has exhausted all 55 players may seek permission from the Competition Manager to use QFAW or AFLQ Affiliate League players on a match day permit. Note – an AFLW Listed Player does not include AFLW Rookies.